Francisco Lopez bounced back after his disastrous day two to win stage three today which saw the Dakar leave Pisco and arrive in Nazca. The Chilean rider had the advantage of starting a long way behind his main rivals on the road giving him riders to chase through the technical sand and dune stage. Second on the stage was Speedbrain Husqvarna rider Paolo Goncalves a result that moved him up in the overall standings to 16th. Third on the stage today was Frenchman Cyril Despres although he did actually cross the line first, but having started in front of Lopez and Goncalves who had a faster total time. For Despres it’s not about stage wins it’s about overall glory and his patient approach now sees him move into the lead of the race with a 2m 51s advantage over Lopez. Stage two winner Joan Barreda finished a disastrous 45th losing over 33 minutes to the leaders after suffering a broken rear wheel and rear fuel tank. 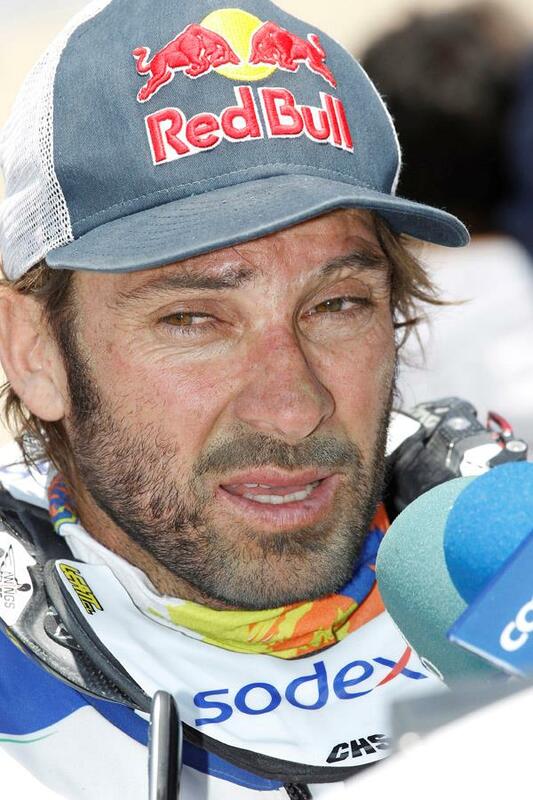 The hard charging Spaniard suffered the damage after landing a jump too hard and was unable to fix the problem and with his support rider lost in the dunes had to limp to the end of the stage. 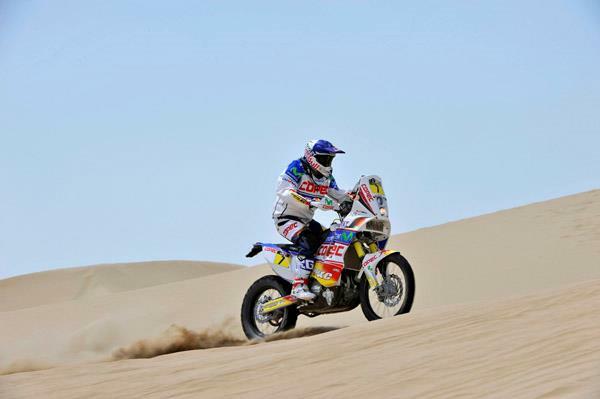 Lopez’s second victory in the opening three stages means that he is now second in the overall standings with veteran Dakar rider Pal Anders Ullevalsetter in third just 4m 59s behind Despres. Although the last two days have been testing for all competitors the days have been relatively short with minimal liaison stages. Tomorrow’s stage four will change all that with a 290km timed special and a 430km liaison making it a 720km day.